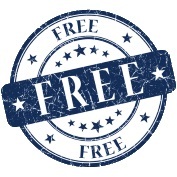 At Secure Hunter, we believe the best things in life are free. Our wide variety of Secure Hunter Free Tools was developed with that very philosophy in mind. In an effort to combat the rise of cyber threats, Secure Hunter team designed the following tools to amplify your level of protection against the internets nastiest bugs. Pair these free tools and our anti-malware software with your existing antivirus program for added layers of PC security. Share the news about Secure Hunters free tools on your favorite social media today! NetstatWrapper is a small windows GUI tool that can be use to run netstat command using UI.With this small tool you can run some of the netstat command line tool and see the result in Notepad, or any other configure text viewer tool. Secure Hunter team is delighted to offer a range of Secure Hunter Free Tools to enhance security and prevent a breach. Working 24/7 for you, Secure Hunter is the perfect counterpart to antivirus software. Download Secure Hunter anti-malware software today to experience stress-free browsing. After your free download, share Secure Hunter on Facebook, Twitter, and other social media! GET FREE "CYBER SECURITY GUIDE"